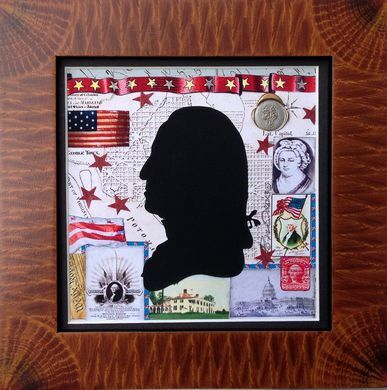 Hand cut silhouette of George Washington juxtaposed with DC maps and other Washington memorbelia. Hand made frame. Prints are available.